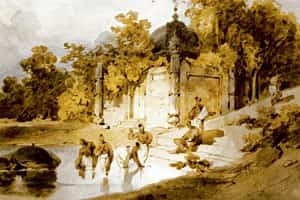 Eastern palette: Figures at the Water’s Edge by a Ruined Tomb, Bengal (both pencil and watercolour).Courtesy Asia House. Writing from late 18th century London, British statesman Lord Chatham marvelled that “the riches of Asia have been poured in upon us". Tea, spices, fabrics and other luxury goods brought in by the East India Company had transformed everyday life in Britain. Among the “riches of Asia" exported to Europe were paintings and drawings produced by the many British artists, draughtsmen, and surveyors who travelled to the Indian subcontinent in search of patronage and inspiration. But while most of these artists returned to make a living back home, one of them never did. The art of George Chinnery (1774-1852) is little known in his native Britain, though substantial exhibitions have been devoted to him in Europe and Asia. His works have been shown in Lisbon (1995), Tokyo (1996), Hong Kong (2005) and Macau (2010), but there has been no public exhibition in the UK since an Arts Council show in 1957, and before that, a retrospective at the Tate in 1932. With a reassessment of his legacy long overdue, Asia House, a pan-Asian organization in the UK, is hosting the first major loan exhibition of his works in Britain in over 50 years. The exhibition, The Flamboyant Mr Chinnery: An English Artist in India and China, opened in London on Friday. 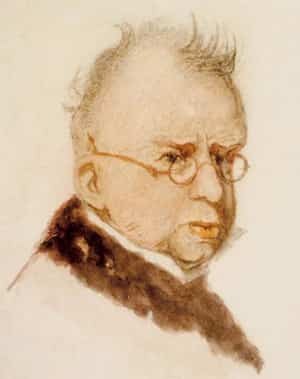 Conner believes that the neglect is partly due to the fact that Chinnery’s best works are based abroad (notably in the HSBC collection in Hong Kong; it is also sponsoring the exhibition). At his prime, Chinnery was a splendid artist, portraying Chinese dignitaries, Parsi merchants, Western sea captains and their families. He produced delicate watercolours of Bengal and Macau and a wealth of lively sketches of the fishermen, boatwomen, barbers, food vendors and gamblers. His drawings and watercolours of local people and their daily activities are his most compelling work: crowded market scenes, fishermen landing on the beach, blacksmiths working at their bellows. 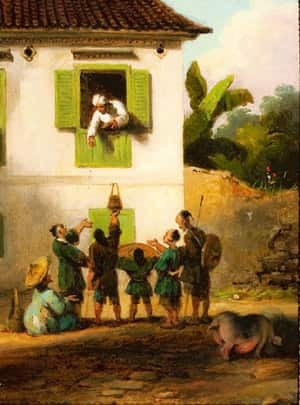 The paintings depicted the social mores and customs of the time. Many are historically significant. In Madras, for example, he painted the original catamarans—from the Tamil kattu maram or bound wood—consisting of three logs lashed together, which should rest other claims to the origin of these ingenious sea vessels. The works have been drawn from 20 different lenders, including public institutions such as the British Museum, Victoria and Albert Museum, National Portrait Gallery and British Library, as well as private collections such as the HSBC’s in Hong Kong. While there are no concrete plans, Conner doesn’t rule out a Chinnery exhibition in India in future. While in Asia, Chinnery became something of an exotic creature himself. In India, Chinnery smoked the hookah and had an Indian mistress, but as an artist he largely maintained the techniques he had learnt in London’s Royal Academy Schools. He was known as a droll genius, a man of volatile temperament, so extravagant that despite many lucrative commissions, he was hopelessly in debt for much of his life. Unable to return home, he had sailed from India to China to evade his creditors. Because of the fragmented nature of his career, there is no Chinnery estate; the contents of his studio were auctioned in Macau shortly after his death. “The proceeds were no doubt put towards the payment of his large debts! His three sons (one legitimate, two illegitimate) all died before him," says Conner. During his lifetime, Chinnery was sought out by travellers who wanted to meet the genius of the east China coast. Now, those with an academic curiosity in the region and period, such as author Amitav Ghosh, are trying to revive his legacy. In River of Smoke, the second book of Ghosh’s Ibis trilogy, one of Chinnery’s illegitimate half-Indian sons is a central character. “Yes, he did have two sons with an Indian woman, but very little is known about them. The character Robin Chinnery in my book is my imaginary version of one of them," says Ghosh in an email. In a June blogpost, Ghosh recounts his visit to Chinnery’s Madras home. “The Victoria Memorial in Kolkata is rumoured to possess two Chinnery paintings, but no one seems to have actually set eyes on them," he writes. In Macau, says Ghosh, there is a street named after him. Chinnery painted India at a time when relations between the Indians and the British were changing rapidly, and China at the time of the First Opium War and the colonization of Hong Kong. While his drawings and paintings continue to be delightful as works of art, they also raise historical questions about the legitimacy of the British empire and its far-reaching effects—issues that are very much alive today. The Flamboyant Mr Chinnery: An English Artist in India and China will run till 21 January at the Asia House, London (www.asiahouse.org).